There’s a big difference between gaming mice and traditional mice. While you pay more for a gaming mouse, the satisfaction felt from the technology that’s implemented into the mouse is immediately felt. Razer had a successful design with its Basilisk gaming mouse and is now enhancing some technology with the introduction of the Basilisk Essential. 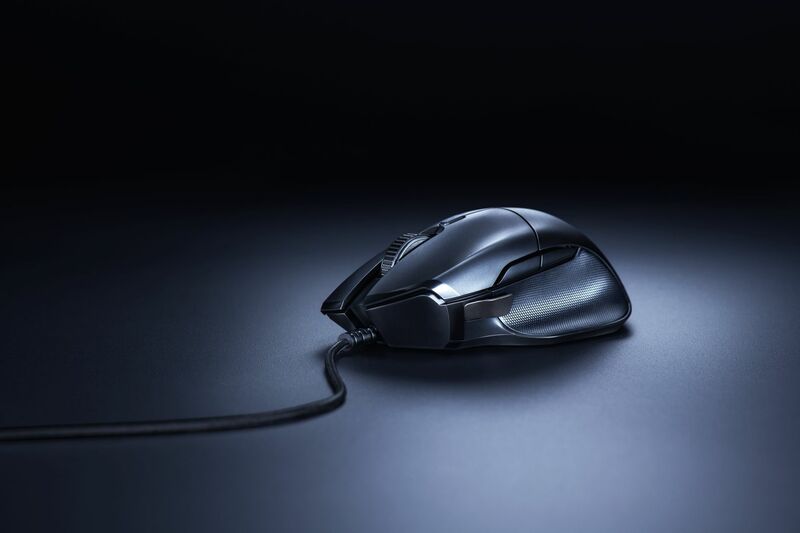 The mouse will keep the unique and right-handed ergonomic design and include Razer Chroma and a new gaming grade DPI sensor. The Basilisk Essential is also lightweight, checking in at only 95 grams, and is fueled by Razer mechanical switches. The Basilisk Essential cracks quite the punch for the price point as it stands out from the competition thanks to its design. Razer has always been about some matte black design with proper implementation of Chroma on its devices. The Basilisk Essential is compatible with Razer Synapse and includes up to 16.8 million color combinations for its Chroma. While the RGB is subtle with just the Razer logo being customizable, it offers just enough to accent an RGB setup. The design of the Basilisk Essential is made up of a combination of matte black plastic and rubber grips. The base of the mouse is fairly wide but is designed to have the players’ thumb rest in a groove. This groove is rubber and features not only two mechanical buttons above it, but also a DPI clutch. This DPI clutch is a unique take that does come in useful. Holding down this button in shooters helped for the more tight windows. The only issue with the clutch is that it still feels unnatural to use it. The mouse is light, which means if the player is zoomed in to make a shot, it requires an adjustment of the hand to properly hit the clutch. This also can vary depending on the player’s hand. Including the clutch is thinking outside of the box and for the most part it is a positive implementation. This mouse played especially well with The Division 2. Being able to use the DPI clutch to focus in on enemies while zoomed in is a nice touch. While the DPI clutch is the default command, the button can be programmed for other uses. This goes for the other six buttons on the Basilisk Essential. All of the buttons are mechanical switches on the mouse and the scroll wheel is deemed as gaming-grade. The wheel is designed with rubber and ridges. Using the scroll is distinct between each individual position so it isn’t easy to scroll too fast and overshoot those fine moments. Some players might desire a smaller gap between scroll points, however, as scrolling feels hefty. The two main mouse buttons are quick and responsive. 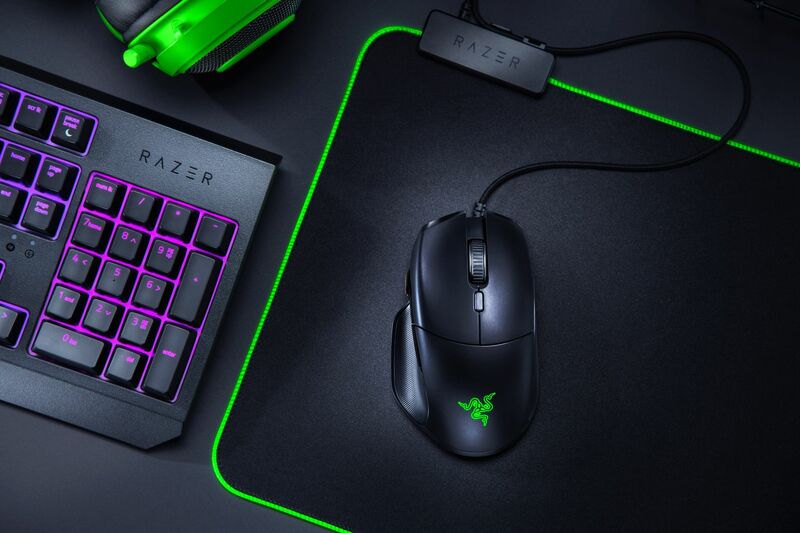 Razer attributes each button to support up to 20 million clicks. The optical sensor in the Basilisk Essential features a true 6400 DPI accuracy that is also deemed as gaming-grade. With the Razer Synapse software, hitting the DPI button on the mouse will give a screen prompt to let the player know exactly what setting it’s on. The sensor speed is rated at 220 inches per second with 30 G of acceleration. This can be felt as it blends into the lightweight experience. Running at the higher DPI settings really shows how ultra sensitive the Basilisk Essential is. The overall feel of the mouse is special. With its wide base, the Basilisk Essential truly feels like it floats like a Cadillac. Combine that feeling with the ergonomic design and you get a different type of comfort with a lot of power under the hood. Razer has a strong gaming mouse with the Basilisk Essential that also hits at a strong price point. The MSRP on this is only $49.99 and features enough tech for gamers to feel a difference and not break the bank. The DPI clutch is a nice and useful addition but may take some time to properly get comfortable with incorporating it. The overall feel of the mouse is light and floaty, and it feels like a charm to use. Including long-lasting mechanical switches and a touch of RGB, it’s hard to beat a gaming mouse like this for that price.